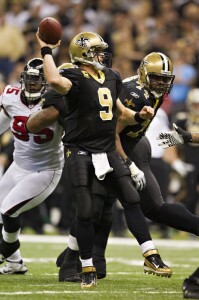 Will Drew Brees play Sunday vs the Panthers? 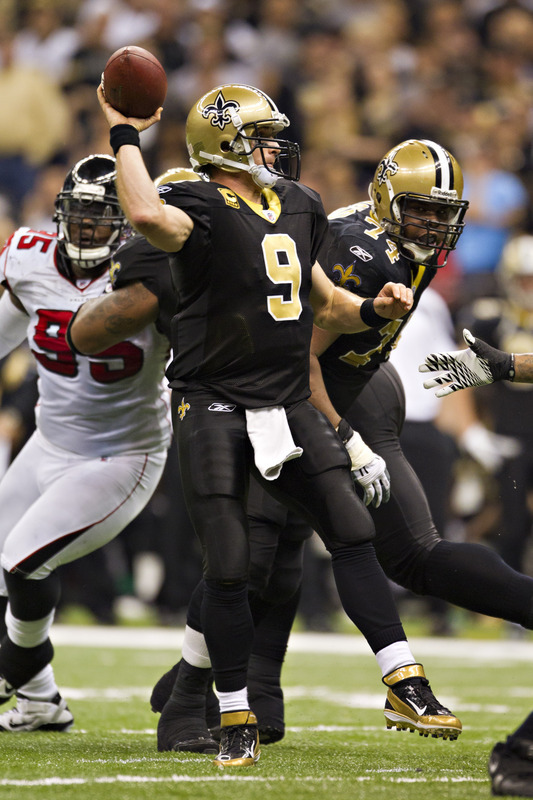 The Saints (12-3) aren’t going to catch the Green Bay Packers for the No. 1 overall seed in the NFC this year. The number 2 seed and first round playoff bye is a longshot as the 49ers would have to lose to the Rams and the Saints, of course, must beat the Panthers on New Year’s Day. Saints coach Sean Payton was pressed Tuesday on whether he would risk his starters on Sunday in a game that could prove meaningless according to James Varney of the New Orleans Times-Picayune. 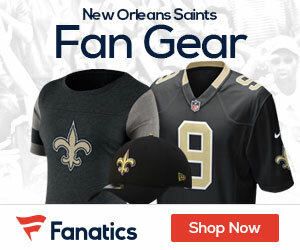 Payton declined to answer, saying all considerations would be weighed, such as quarterback Drew Brees chance to hold the NFL single season passing yardage record and health questions still lingering for players like linebacker Jonathan Vilma and running back Mark Ingram.